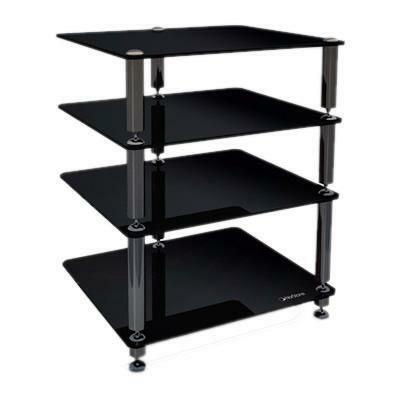 This beautiful audio rack by Sonora features side, top and front MDF panels laminated in glass, three adjustable shelves, cable management and ventilation system. This four shelved audiophile rack is visually beautiful. 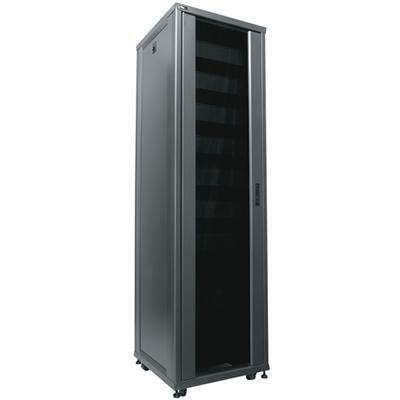 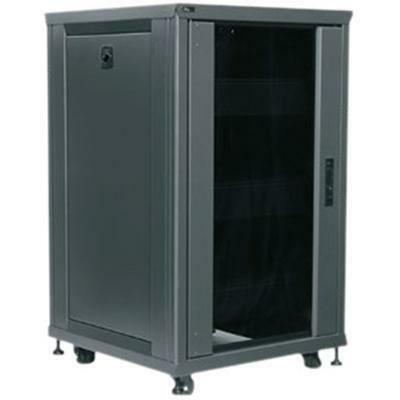 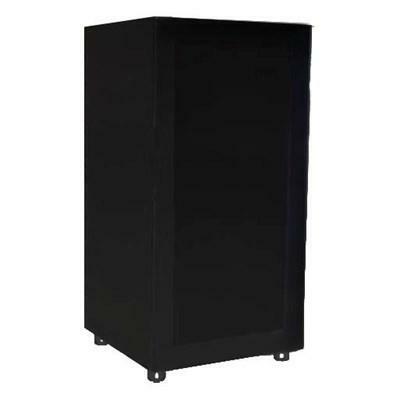 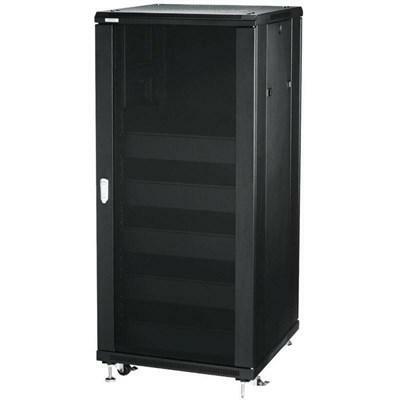 Even though every RCS Series rack includes shelves, for convenient equipment mounting, they are built on a professional rackmount foundation and accept both professional rackmount and shelf mounted consumer components. 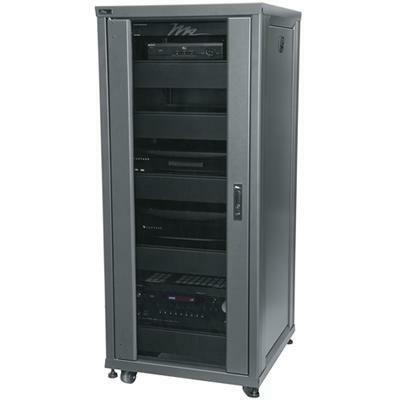 The RDR-S4 features deep, usable shelf space able to hold large components and integrated cable management channels with brackets for clean installation. 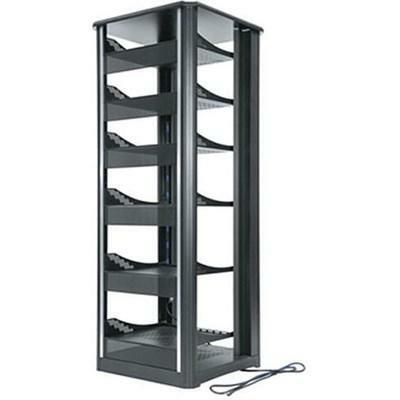 The RDR-S6 features deep, usable shelf space able to hold large components and integrated cable management channels with brackets for clean installation. 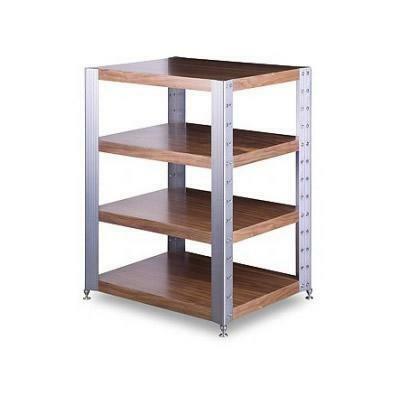 The plain and refined design of the Esse Hifi makes it a functional and elegant piece of furniture ready to house your AV equipment with style. 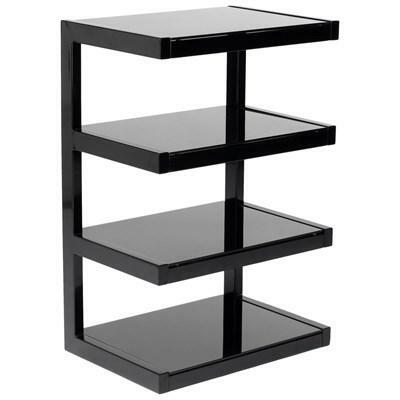 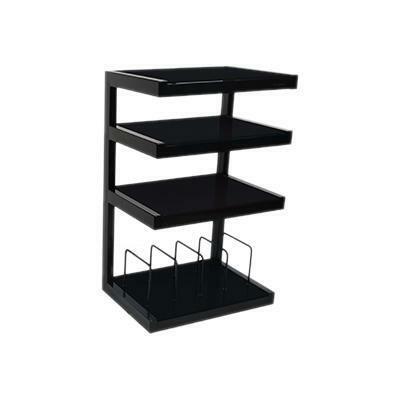 The top shelf also welcomes any turntable or flat screens up 32 inches.